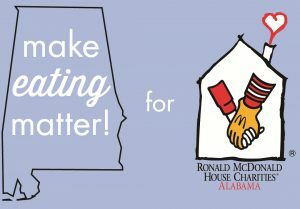 This Spring, we held an 8-week fundraiser called “Make EATING Matter.” During this time, we asked our friends, families, social media followers and everyone we could find to eat at a participating restaurant each Tuesday. It was such a fun event and a great way to help spread the word about the mission of the Ronald McDonald House. Plus, who doesn’t love good food? We want to thank each restaurant that participated, as well as all those who went out and made eating matter!! During this fundraiser, we were able to raise over $800 from these fundraisers and even better we know we also raised a lot of awareness for our House. 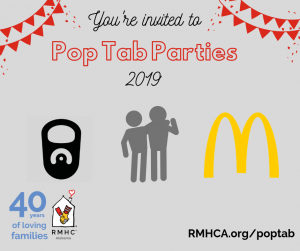 Thank you Insomnia Cookies (5 Points location), MooYah Burgers (Downtown), Pizza Hut, California Pizza Kitchen (Summit), Nothing But Noodles, Panera Bread (Lee Branch), Pieology (Summit), and Mugshots (Uptown) for your participation in this event.